Acylation of ivermectin 5-oxime was first studied. 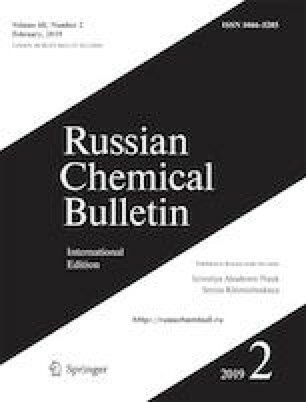 Procedures for selective acylation of ivermectin 5-oxime either selectively at 5-oxime group or at both 5-oxime group and 4″-hydroxy group to give, respectively, mono- and diacyl derivatives were developed. The synthesized compounds exhibit antifungal activity. Published in Russian in Izvestiya Akademii Nauk. Seriya Khimicheskaya, No. 2, pp. 0438–0444, February, 2019.